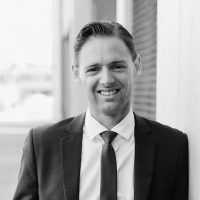 Adam Holborow joined the Elders Port Macquarie team as a Sales Partner in September 2017. Adam loves Port Macquarie, the climate, the environment and the people. He has lived here for 30 years and it is the place where he intends to live and raise his young family. Adam’s passion for this area is matched by his drive to provide top level real estate sales service, by finding you the perfect property to purchase or by selling your property in a timely and professional manner. People, not just real estate, are his business and Adam believes it is by building relationships with potential clients and vendors that he can best meet their needs and produce positive outcomes. In his journey to real estate, Adam has been involved in other vocations where he has developed customer service, people skills, organisational skills and self discipline which he knows will stand him in good stead in this industry. He is excited to join the fantastic team at Port Macquarie and knows that the professional team support provided by this group of people is one of the reasons for their wonderful reputation in this area! On the home front, Adam is married with 3 small children and now getting back into fitness. This was a huge part of his life before children where he competed as a professional Triathlete both locally, nationally and internationally. The ability to achieve in such a sport demonstrates his dedication and commitment to everything he’s involved with and Adam brings these attributes to his career in real estate. Adam’s extensive knowledge of the Hastings area and many contacts within the local community provide him with a great advantage within this profession and he is excited to be able to use this to benefit his clients. Would you like to speak to Adam?